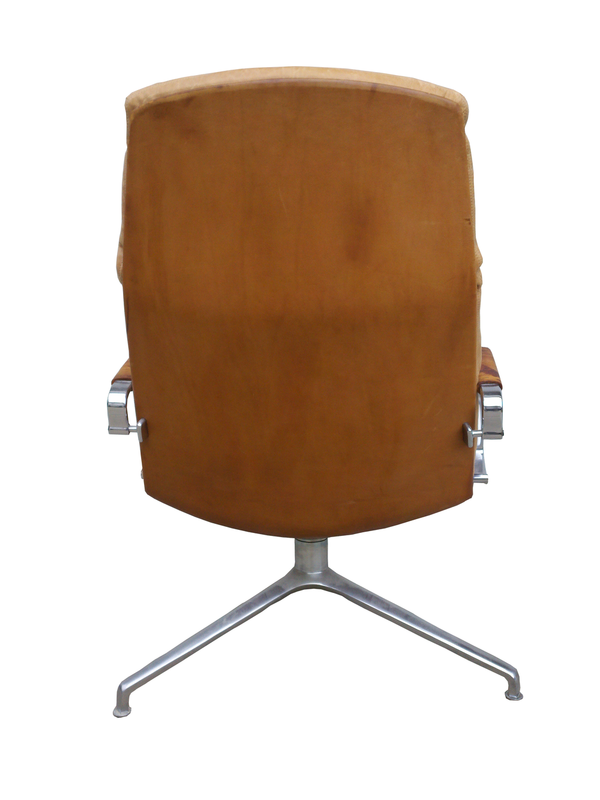 A very nice Danish modern swivel chair designed by Preben Fabricius & Jorgen Kastholm for Kill International, Denmark, 1968. Original leather back and arm banding, the down cushion has been expertly re-leathered with great care given to the original construction. 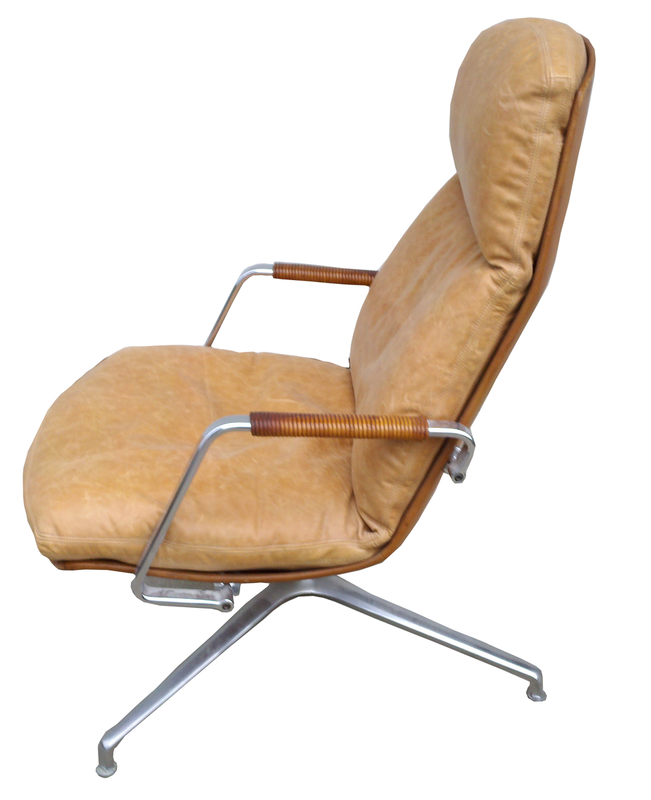 The tripod foot and arm rests are polished steel. Overall condition is excellent with appropriate signs of age on the leather back and arm banding. Cushion was re-done about 15 years ago and is in excellent condition.